Would you like to work on a 5* holiday park in a beautiful part of Devon? An exciting opportunity has arisen for an Entertainment Host/Sound & Light Technician to assist the Entertainment Team for the 2019 season. Duties will include hosting events in the evenings such as kids time, bingo, game shows, party dances etc… Plus doing sound and light for the Entertainment Team production shows. Daytime duties are also included which consist of kids clubs, family clubs and competitions. We are looking for someone who is a team player, willing to take on new tasks and is confident with talking over a microphone. We offer a competitive salary, great team, long season (until Nov 2019), and a fantastic environment to work in. 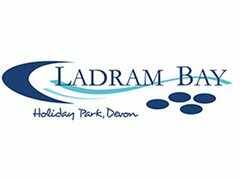 A sound and light technician with entertainer skills is needed for the 2019 season at a top holiday park in Devon!